The holidays are here. So, what does that have to do with Oakland Optometry in Rochester Hills? More than you might think. With all of the holiday preparations and end of the year tasks, you have some important things to remember to add to your to-do list. If your family hasn’t visited us for their annual eye exams, now is the time. Plus, we’ve got the perfect solutions for holiday eyewear fashion for every member of the family. Don't forget, Maui Jim sunglasses make great gifts too. 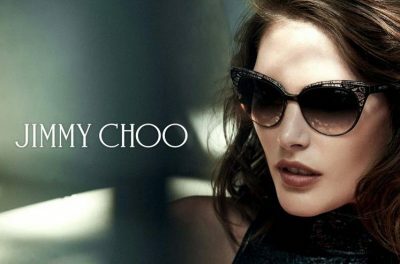 So does fabulous eyewear from Jimmy Choo! If you didn’t visit us this year, or before school started, now is the perfect time to make appointments for your annual comprehensive eye exams. With your kids out of school for a couple of weeks, take advantage of schedules that aren’t packed from morning to night with school and activities and schedule eye exams. If your child has been having vision issues that have impacted their performance in school, Dr. Mark Roy of Oakland Optometry can help find the right solution to their vision issues, and get them back on track in January. Plus, many employer-provided vision insurance programs may expire on December 31st, so make sure that you are taking advantage of this year’s vision benefits and schedule eye exams for the whole family. If you have been putting away money in a HSA or FSA account, now is the time to spend it. If you still have funds available, use your HSA or FSA for vision care, glasses, sunglasses and contact lenses. If you don't have vision insurance, use those funds for covering the cost of eye exams, and other vision expenses for you and your family. if you are looking for ways to spend your HSA or FSA funds, a visit to Oakland Optometry is a great option. Remember, it you don't use your funds before December 31, 2017, you may lose them. If you are looking for a new look to start the holidays and ring in the new year, consider a great pair of new glasses. Oakland Optometry has a full line of the hottest eyewear collections for men, women and kids including MODO, Cole Haan, Ted Baker, Jimmy Choo, Maui Jim, Zac Posen, bebe, Silhoutte, and Lilly Pulitzer. And with new frames coming in everyday, we are sure to have a great pair of glasses and sunglasses to fit your style, just in time for the holidays. I am looking for MODO, Cole Haan, Ted Baker, Jimmy Choo, Maui Jim, Zac Posen, bebe, Silhoutte, and Lilly Pulitzer Eyewear Near Me! If you’ve put off eye exams or spending your HSA or FSA contributions, now is the time to visit Oakland Optometry for eye exams for the whole family and an easy way to use those flex spending dollars. Whether you want contact lenses, new sunglasses, or just a fun new pair of glasses, we can get you ready for the holidays and help you check off some of those end of the year to-do list items. To schedule an appointment, call us today at (248) 373-6500 or use our real-time online scheduler.